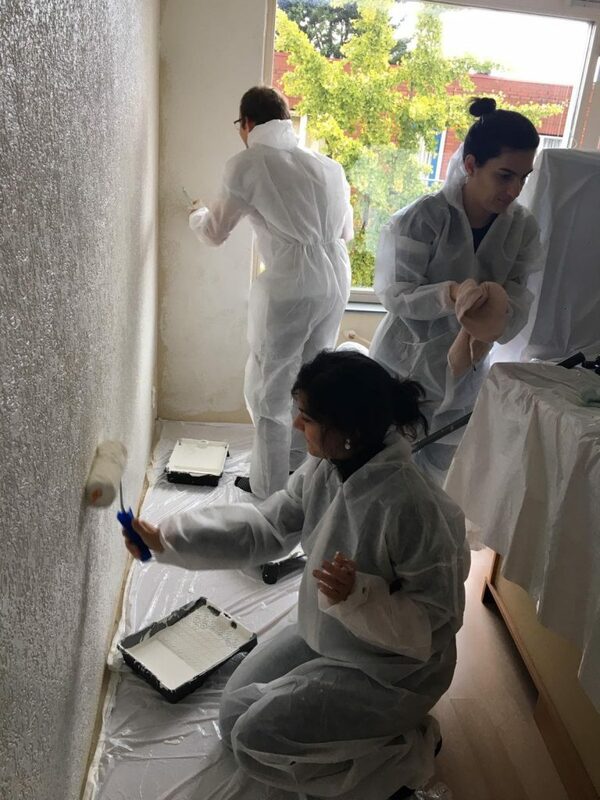 On the 27th of October, Rotaract Club of Den Haag Scheveningen participated in a voluntary activity at a family’s house in The Hague, in order to help them re-painting their living room. 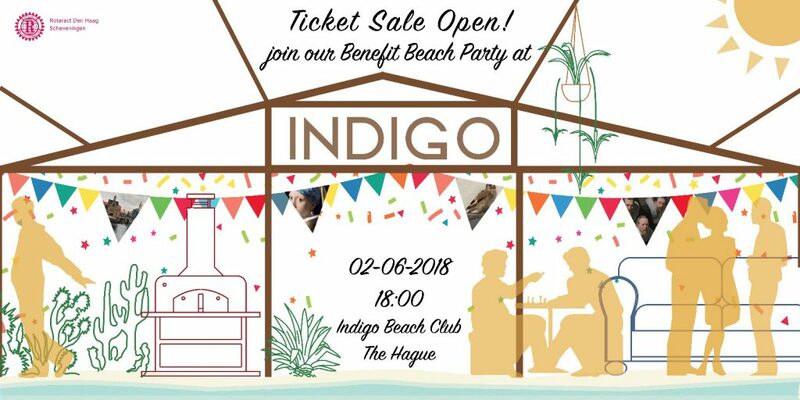 On Saturday 2nd of June, our beach party on benefit for Alzheimer charity took place at Indigo Beach Club in Scheveningen. We started with two speeches from the organization that we are helping, first guest speaker Femke Hameetman, sea of Education from Mauritshuis spoke about how positively big, art can impact on people with dementia and “the unforgettable Mauritshuis tour” they offer for people with dementia. Follow by Gert Teusink, former Rotaract-member and now Rotary member and representative from Alzheimer Haaglanden who talked about how people with Alzheimer feel, and what they got through, he also invited everyone to be part of their coffee afternoon where you as family member or friend of a person with Alzheimer can share your experiences with this with other people going through the same. Our members Ilya and Froukje finished the speeches appreciating all the support and officially opening the bbq. Later on, our former Rotaract Scheveningen member Viollete Krouwel gave a speech about how Alzheimer disease can come any time and how she has gone through it with her mother. She thanked the club for making such event since she was the reason why we came up with the idea of helping this charity, and she also invited everyone to feel free to donate some money so we could raise even more out of this event. 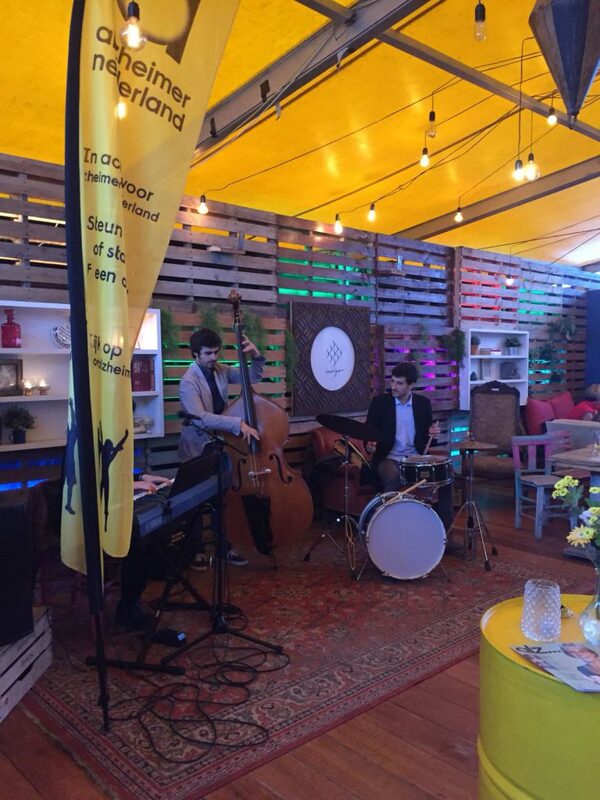 Around 21:00 the dance party started the band Federica Lorusso Trio set up its place and started playing some jazz-funk music. Follow by the DJ’s Roy and Abhey who together with their mix of jazz and saxophone kept the party going till late midnight. We have to thank all the people who made this event possible and the people who donated an extra more. 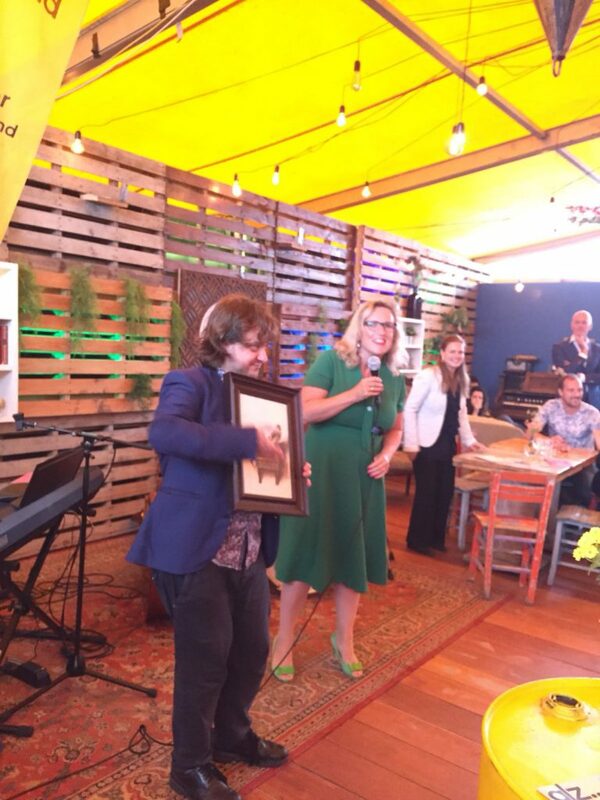 From all this event we as the club managed to raise enough money to donate 5 “Onvergetelijk Mauritshuis” to Alzheimer Haaglanden. 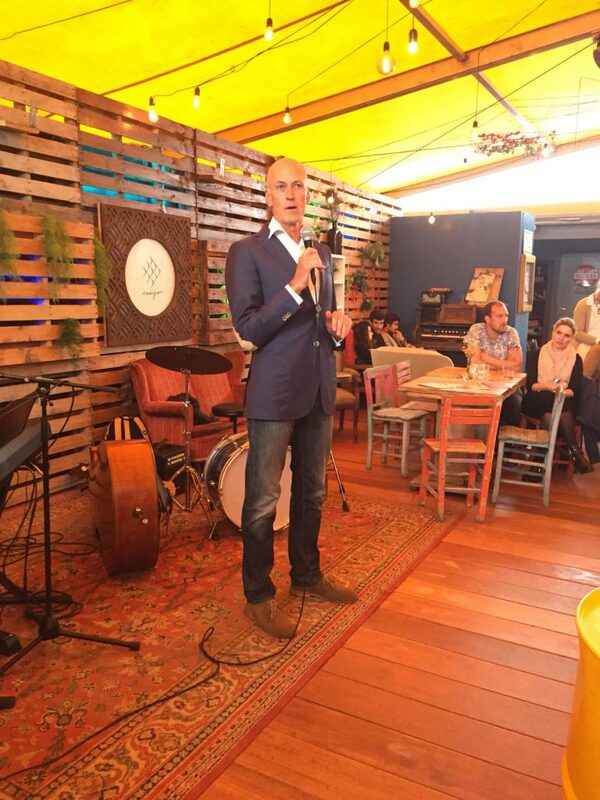 As it happens every year, the new members of Rotaract Club Scheveningen organized a new members activity. This year it took place on 26th of May at the Haagsche Bluf, 46. Located in the heart of The Hague, the Haagsche Bluf is a residence for people with an intellectual disability. where they can share and do activities together with other residents or volunteers whenever it is possible. 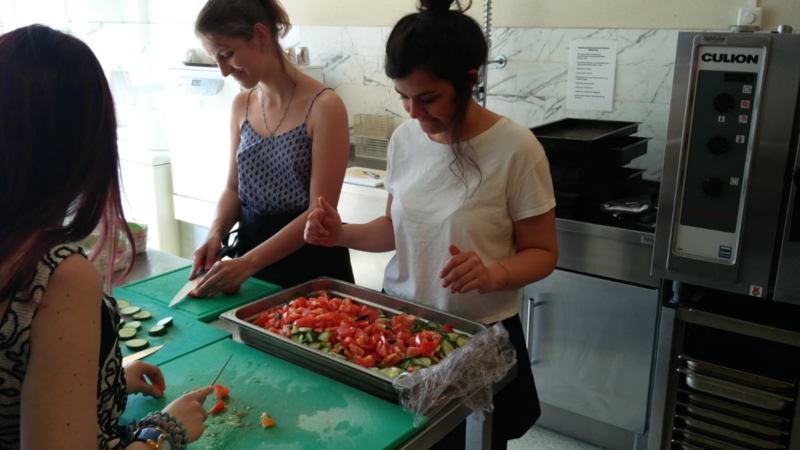 members to get to know the community – through a fun and tasty activity! Benefit at the beach for Alzheimer Charity! A party at the beach with BBQ, drinks and music. Let’s make it an unforgettable event! Line up : several speeches and experiences, music from Jazz trio Federica Lorusso and DJ’s to dance the night away! But will we never forget? Dementia is according to statistic numbers of CBS the number one cause of death in the Netherlands. The most common form of dementia is Alzheimer’s. Chances are you have a loved one who is suffering from this cognitive disease or a friend who is supporting their loved ones through this. Dealing with memory loss and supporting loved ones is an emotional endeavor that often leads to isolation and loneliness. As a club, we have seen this first hand and want to do as much as we can to raise awareness about this disease. Our main purpose is to enable communication through art between people suffering from Alzheimer’s and their loved ones. Join Rotaract the 2nd of June and support our charity! And if you can’t join us, please support this charity through donation via eventbrite! Club weekend in …. Bratislava! The weekend of April 13th – 15th the annual club weekend took place. As every year nobody apart from the organizers knew the final destination. Consequently, it was a big surprise to almost everyone, when we needed to take a bus after having flown to Vienna. In the end we stopped in Bratislava, which was the final destination. 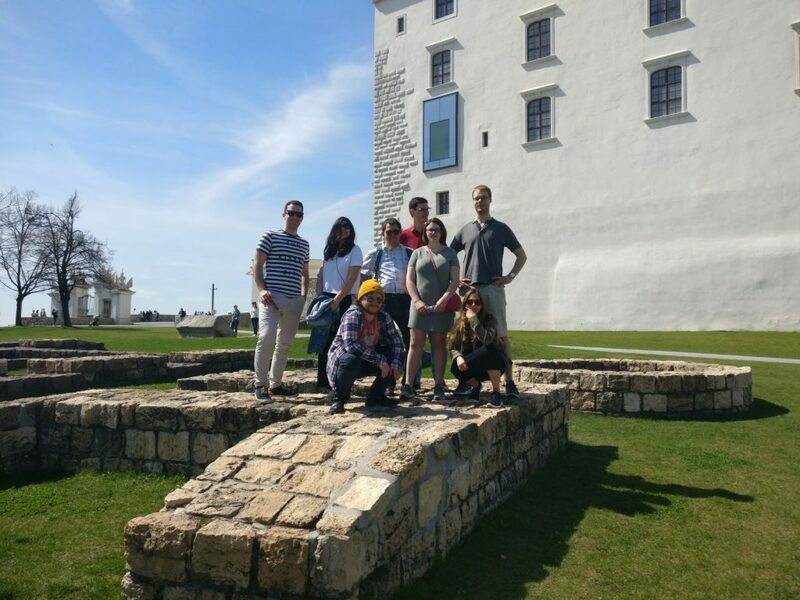 In Bratislava we enjoyed a sunny weekend touring the old town, seeing the various tourist attractions and relaxing. 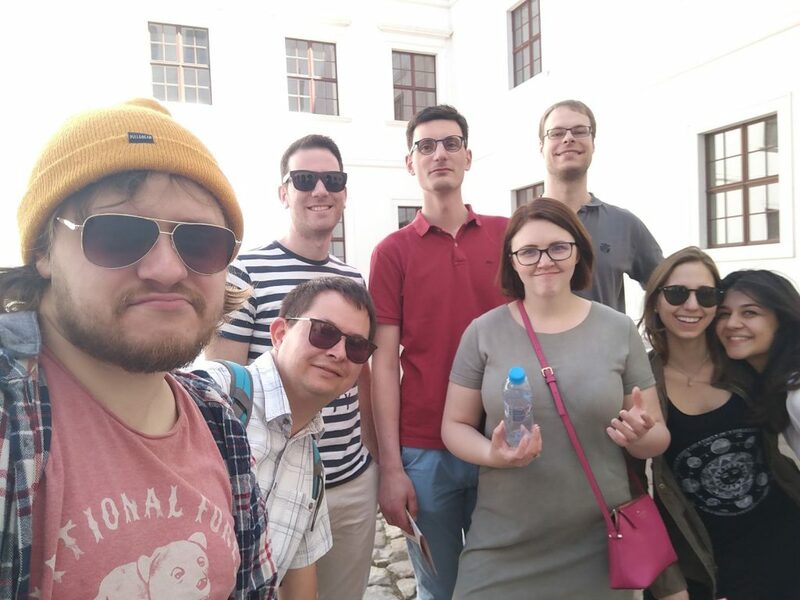 A mystery tour through Bratislava is still mildly frustrating for some members, as nobody could correctly solve all of the puzzles. However, the traditional Slovakian dinner on Saturday more than made up for it with every dish containing noticeable amounts of sour cream. All of us enjoyed the weekend immensely and we’d like to thank the organizers once again for their effort. 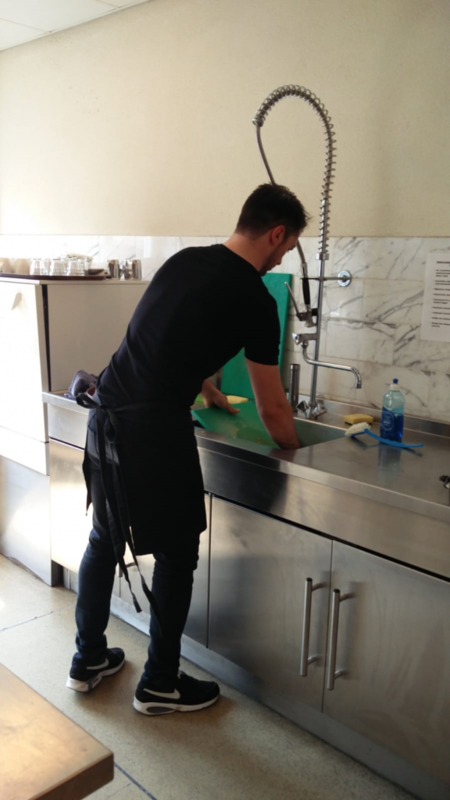 On April 7, we helped Stichting Present Den Haag cleaning up the house of an expectant mother. 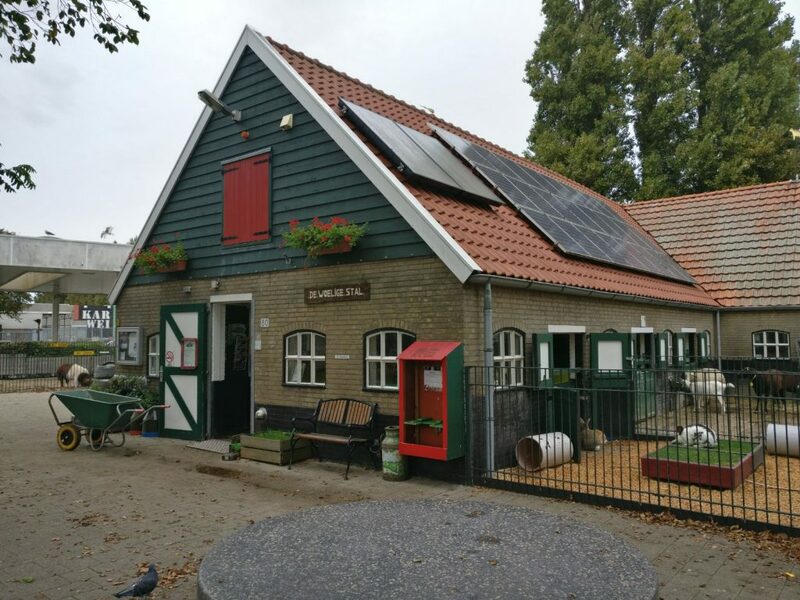 Stichting Present is a foundation that organizes activities for groups, general activities that take place only once, and are therefore easier to plan and execute. Activities are reported to the Foundation via social work, after which it is checked whether a group is available to do the work. This was also the case for us on April 7. The work consisted of helping an expectant mother with cleaning up the house and the basement. Due to circumstances, she could not do this herself. Upon entering we split into two groups; the first group helped with cleaning and sorting in the house, the second group went to work in the basement to get this organized. In this work, things were sorted according to whether it should be stored, donated or be thrown away. At the end of the day, the result was a cleaner house and storage. With a good feeling, we could enjoy the rest of the day and the nice weather. Due to privacy of the person we helped, there are no pictures available. 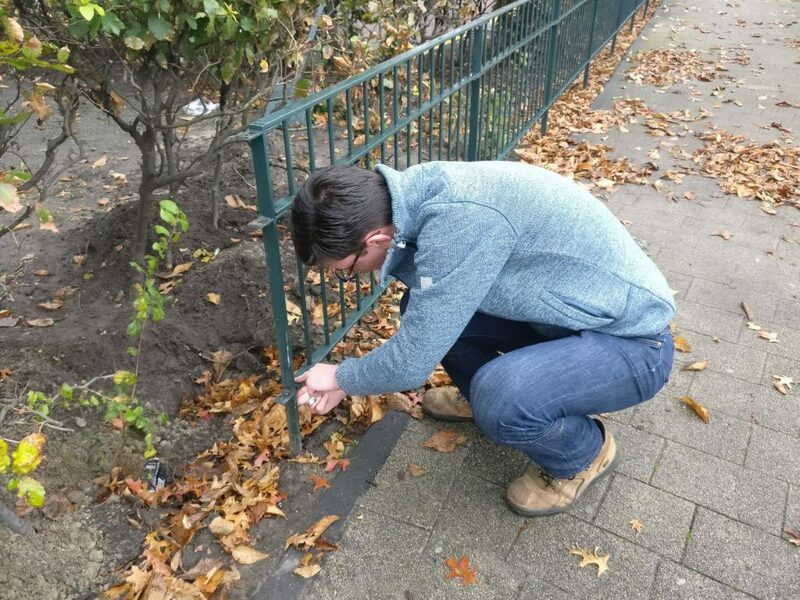 On Saturday 10 of march a group of members from the Rotaract club Scheveningen went to the community house “Wijkvereniging Scheveningen”, to help them with a spring cleaning. During this day we had the opportunity to help indoors as well as outdoors. Inside the building we helped with a deep cleaning of the social area, cleaning windows, tables, chairs and mopping the floor. 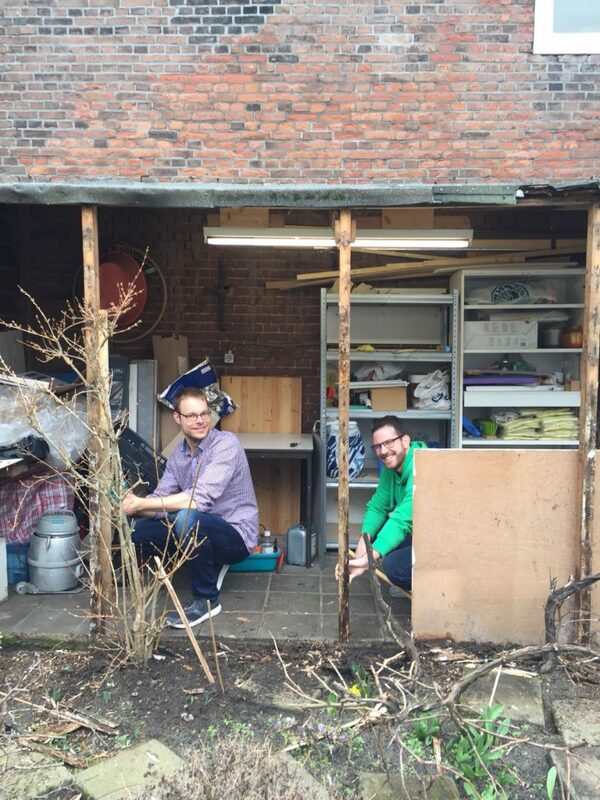 Outside, in the garden, we helped replacing the wooden walls of an old shed that is used as deposit. Besides working, we could interact and share with the members who run this community house, we had coffee, ate cookies and had a nice conversation. It was a very pleasant activity and a great opportunity to build some bounds with the neighbors from Scheveningen. Hopefully we can coordinate more activities together in the future. 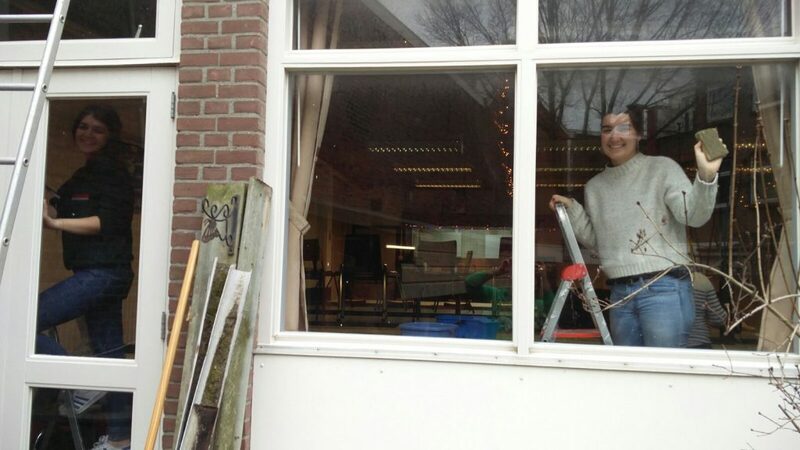 Saturday November 4th 5 eager Rotaracters went to Sintvoorieder1 to help prepare for Sinterklaas. 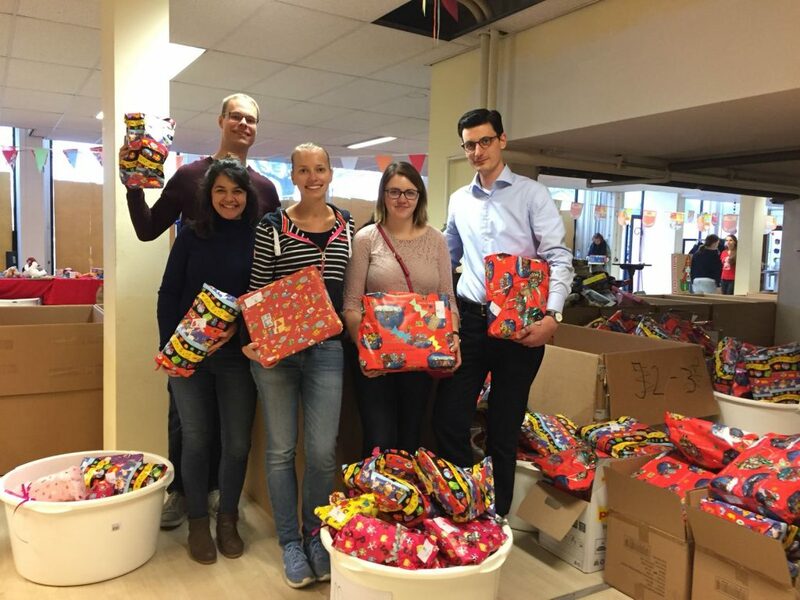 Sintvoorieder1 is an organization that provides Sinterklaas presents to children and teenagers in difficult circumstances. Consequently, we spent a fun day wrapping presents so that as many kids as possible have a surprise on December 5th. In contrast to last year, we started wrapping presents for children 0 – 2 years old instead of 10 – 11 years. We discovered that presents such as a teddy bears and other soft things are difficult to wrap in a beautiful wrap. This way most of us had the chance to be as creative as possible when wrapping the presents. Others decided that it would be better to manage the supply chain, i.e. bring new presents to the wrapping table. This way we managed to wrap over 200 gifts during the day. We enjoyed ourselves greatly and are already looking forward to the next Sinterklaas season. Below you can find some general information about the foundation and pictures. Sintvoorieder1 Foundation aims to provide as many children aged 0 to 18 years with a Sinterklaas gift worth about 10 euros. The gifts are meant for children for whom a gift from Sinterklaas is not obvious. Often these children are dependent on food banks, (emergency) shelter (such as stay homes, open shelters and assisted living). 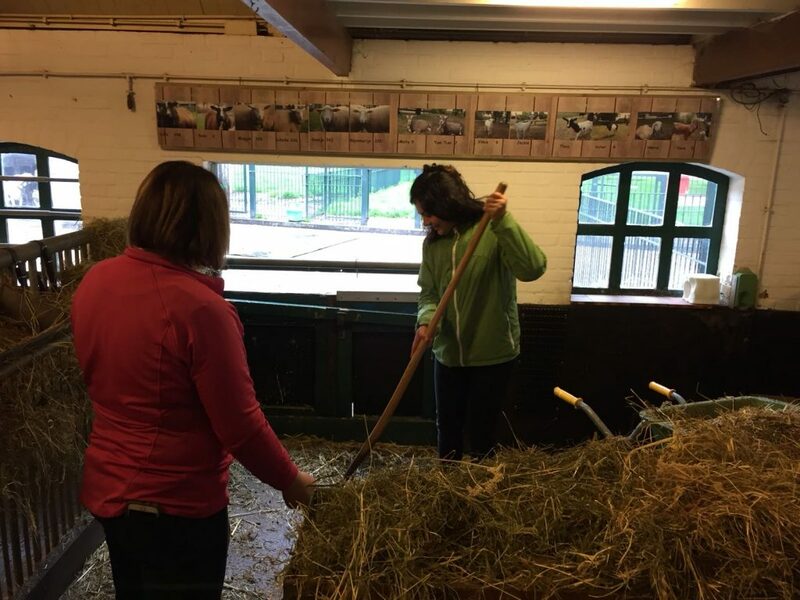 The cleaning of stables belongs to Rotaract The Hague – Scheveningen’s annual recurring activities. 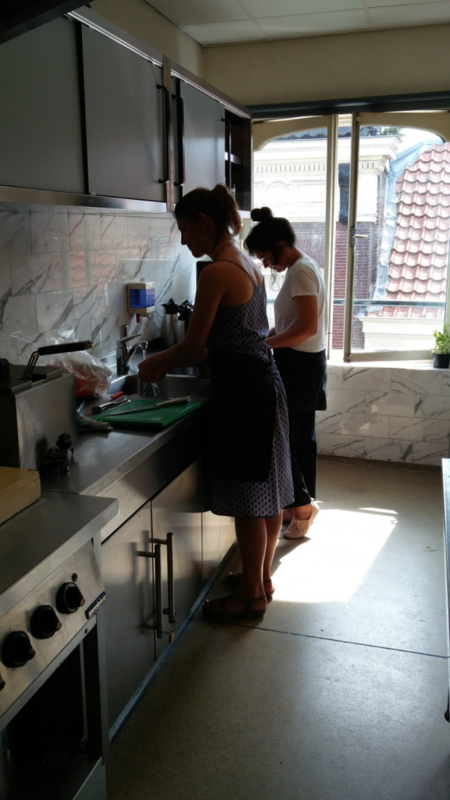 Therefore, also this year we went to the Woelige Staal on September 30 to work as Jack of all trades. 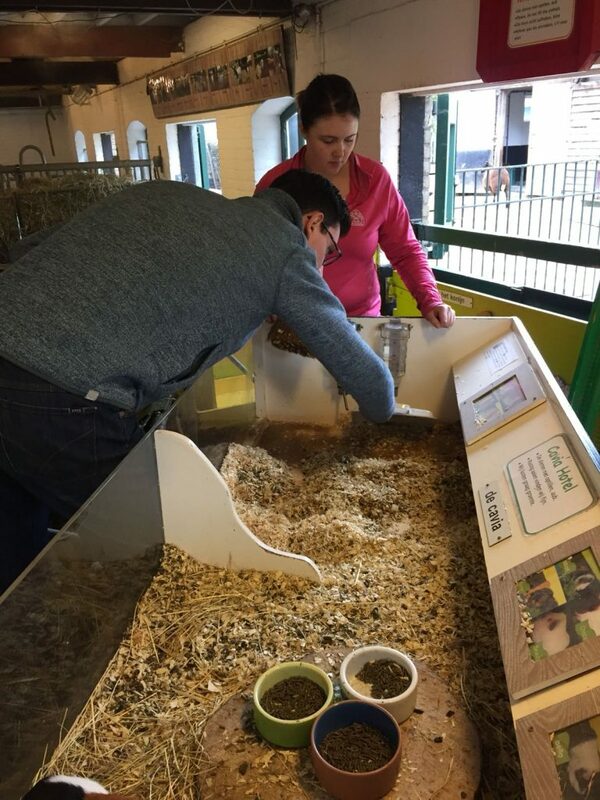 After a quickly touring the grounds and a cup of coffee, the stables were first cleaned, after which new hay could be laid on the ground. Then it was time for lunch. The next task was to (re)place a fence. The Woelige Staal has received a piece of land from the municipality. Placing the fence asked for quite some of excavation work, but the first part has been done. When this was finished as far as possible on that day, we could go home satisfied. Now we have to wait for next year! 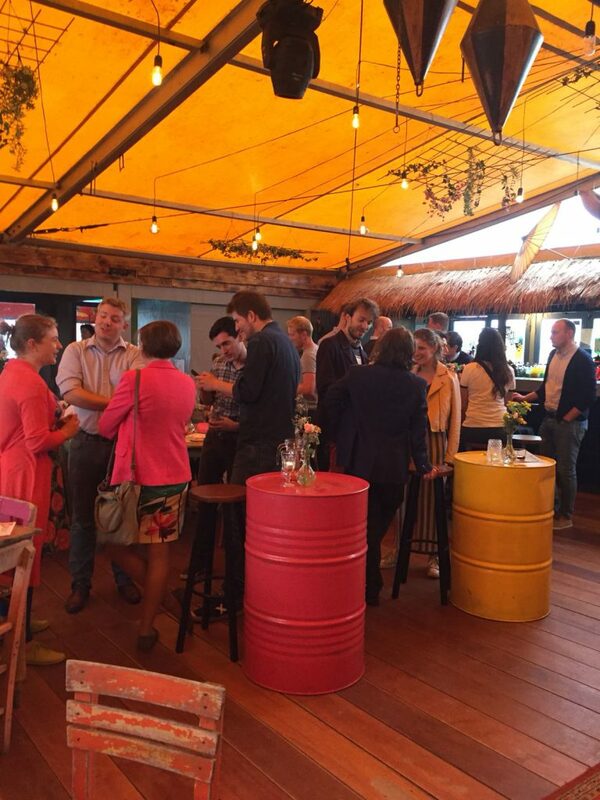 On April 22nd our annual activity organized by the new members took place in cooperation with Present Den Haag. 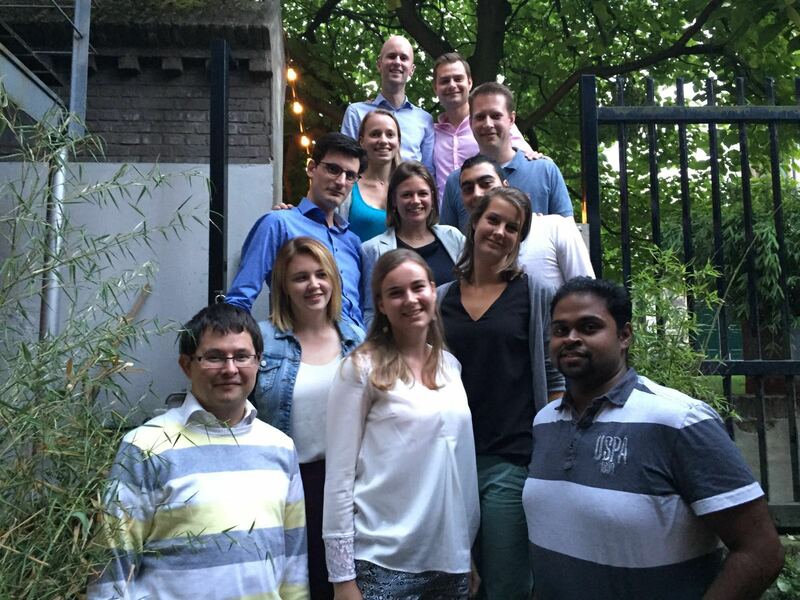 Nine members of Rotaract visited the Middin in Newtonstraat in Den Haag. There we prepared lunch for the elderly and ate with them. The lunch consisted of pancakes with stroop, sugar, etc. 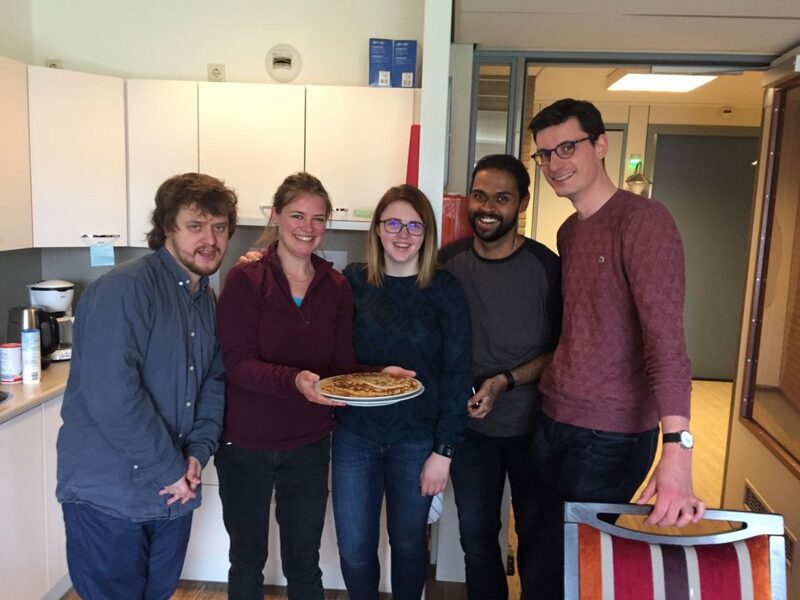 After an initial discussion over the correct pancake recipe (American vs. Dutch) we split up over the various kitchens available at Middin and started baking. Overall, it was a fun activity with great reactions from Middin. We would like to thank Present Den Haag for their help with this project.